Enjoy amazing river and Arch views! 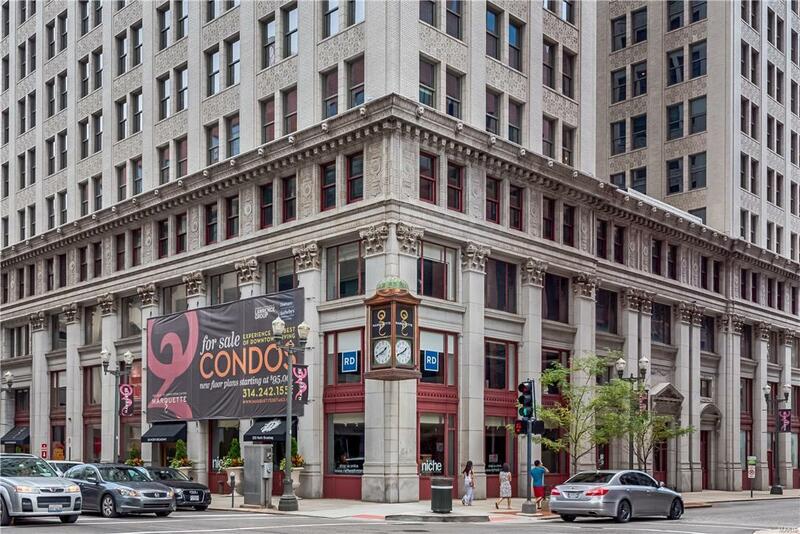 The historic Marquette building is the crown jewel of downtown living at Olive & Broadway. 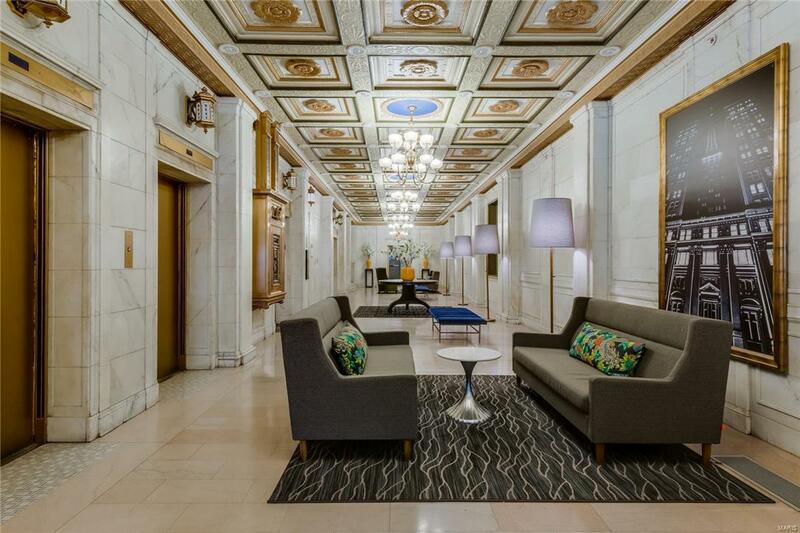 Live in luxury with door attendant, Carrera marble lobby, rooftop pool, pet park, terrace w/ grilling area, dry cleaning services, state-of-the-art security, & more. 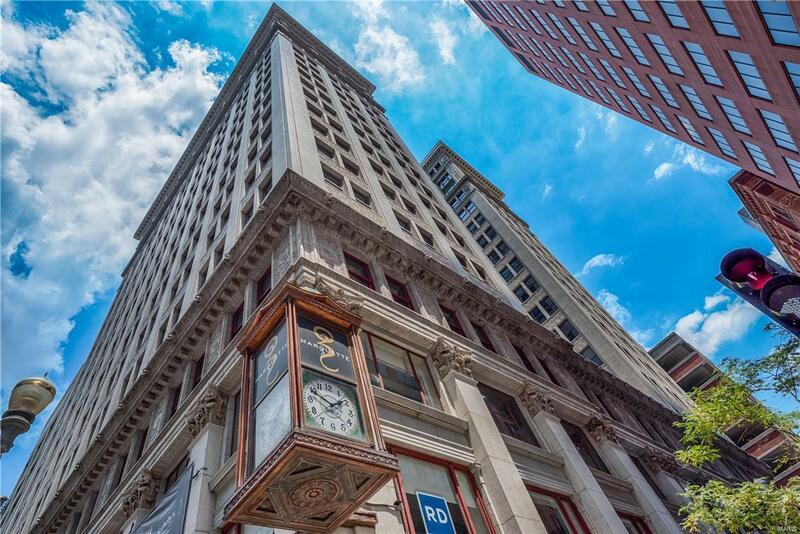 This building is just blocks from Busch Stadium & the fully renovated Arch Grounds. The luxury continues in this condo w/ many custom upgrades. Features include beautiful oak wide plank hardwood floors, custom mosaic tile on the breakfast bar & modular closet and storage systems in all closets & in the kitchen as well! The bathrooms offer European style vanities, custom mosaic tile walls & beautiful slate floors. The owner has also doubled the size of the laundry & storage space including a full size washer & dryer, which is a one-of-a-kind in this building. 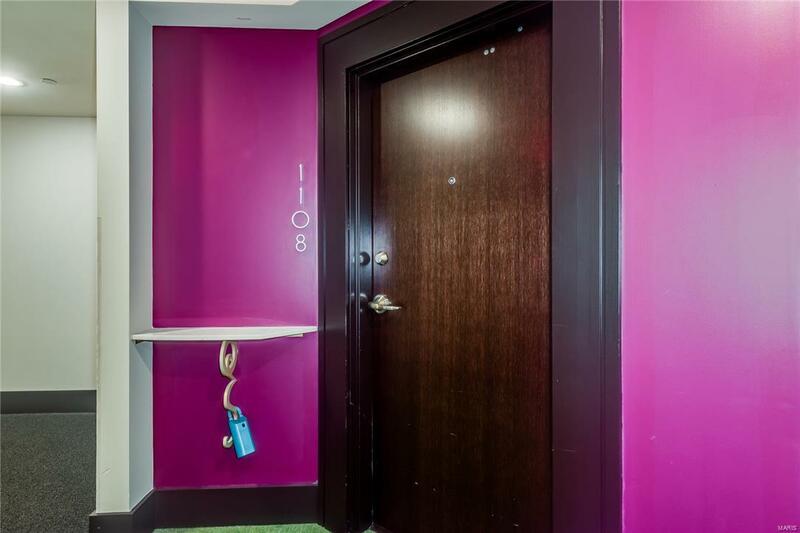 This is the ultimate in downtown living!